IT HAS BECOME numbingly familiar: A man walks into a church, a store, a dormitory, a nursing home, or a school, and begins shooting. Sometimes there is panic, sometimes there is an eerie quietness. But always bodies fall, almost in unison, with the shell casings dropping from the gun. And always there is death. Senseless, inexplicable loss of innocent life. Within seconds we receive reports on our BlackBerries or iPhones. Within minutes the shooting is “Breaking News” on CNN, and by the end of the day it has seared a name in our memories. Columbine. Virginia Tech. As I write this, it has been nearly three years since our community watched as ten little girls were carried out of their one-room school and laid on the grass where first responders desperately tried to save their lives. As a professional counselor and the founder of a counseling center that serves central Pennsylvania, I saw firsthand the effects this traumatic event had on our citizens. And as someone who grew up in an Amish household and suffered through my own share of tragedies, I found myself strangely drawn back into a culture that I once chose to leave. I know these people, who still travel by horse and buggy and light their homes with gas lanterns, yet as I moved among them during this tragedy I found myself asking questions: How were they able to cope so well with the loss of their children? What enables a father who lost two daughters in that schoolhouse to bear no malice toward the man who shot them? And what can I learn—what can we learn—to help us more gracefully carry our own life burdens? That last question is what prompted me to share what I have learned from the families who lost so much that day. The Amish will be the first to tell you they’re not perfect. But they do a lot of things right. Forgiveness is one of them. In my counseling I have seen how lesser tragedies destroy relationships, ruin marriages, and turn people’s hearts to stone. Life throws so much at us that seems unfair and undeserved, and certainly the shootings at the Amish schoolhouse in Nickel Mines, Pennsylvania, were both. And yet not a word of anger or retribution from the Amish. Somehow they have learned that blame and vengeance are toxic, while forgiveness and reconciliation disarm their grief. Even in the valley of the shadow of death they know how to live well, and that is the story I want to share—how ordinary human beings ease their own pain by forgiving those who have hurt them. It is a story that began decades ago, when I knew it was time to choose. LITTLE HAS changed in Lancaster County, Pennsylvania, from the time I was a young boy to that fateful October day when shots pierced the stillness of our countryside. Towns like Cedar Lane, New Holland, Gap, and Iva might have grown slightly, but as you drive through the hills and valleys along White Oak Road or Buck Hill Road, you’ll see the same quaint farms and patchwork fields that the Amish have worked for generations. Like most Amish boys, I learned to read in a little one-room schoolhouse and could hitch up a team of horses by the time I was twelve years old. I didn’t feel deprived by our lack of electricity or phones, and it didn’t really bother me to wear the plain clothes that set us apart from my non-Amish friends. As far as I was concerned, being Amish was fine with me, except for one thing: I loved cars. I mean, I really loved them. I couldn’t imagine never being able to drive one, but I knew that’s what was at stake if I remained Amish. In Amish culture, you may be born into an Amish family, but you must choose for yourself if you want to be Amish, and that usually happens somewhere between the ages of sixteen and twenty-one. You may have seen documentaries about Amish teenagers sowing their wild oats for a year or so before deciding to leave or stay within the Amish faith. While it’s true that Amish young people are given their freedom, in reality few teenagers stray very far from the Amish way of life. But all eventually must choose, and once you decide to stay and become baptized as Amish you can never leave without serious consequences, including being shunned by other Amish, even your own parents and relatives. I couldn’t imagine leaving my loving family, but I also felt a tug to explore life beyond my Amish roots. I worried that it would hurt my father if I chose to leave. I remember once asking my dad why we did the things we did, and he told me it was all about choice. We choose to live the way we do. It is not forced upon us. So when I finally told him, at age fifteen, that I did not want to stay Amish, I know he was disappointed, but he was not harsh with me, nor did he try to talk me out of it. He respected my choice, which has profoundly shaped my thinking about the Amish. You can always trust the Amish. They live up to their word. If they say they will do something, they will do it. You may have heard the expression, “Do as I say, not as I do.” Well, you would never hear that from Amish parents. Whatever they teach their children, they back it up with their actions. My dad told me we had a choice, and when I made a choice that he obviously wished I hadn’t made, he did not turn his back on me. He taught me an important lesson the way most Amish teach their children: by example. Many years later, in the wake of the tragic shooting, I would see Amish mothers and fathers teach their children about forgiveness the same way. I left the Amish community, but I never left my family, nor did they abandon me. Because of that, I too would learn about forgiveness from my father’s example. Most of my brothers and sisters made the same decision to leave for their own reasons. But my parents remained Amish, and much of my worldview is still seen through the metaphorical front windscreen of an Amish buggy. DURING THOSE winter months after the shooting, so much of our community was covered in stillness. The shortened days felt somber and subdued as we were constantly reminded of the girls who had perished. Normally, the sights and sounds surrounding my home in Lancaster County filled me with a sense of nostalgia; the rhythm of horse and buggies clip-clopping their way down our backcountry roads, or the sight of children dashing home from school through a cold afternoon, had always been pleasant reminders to me of growing up as a young Amish boy. But that feeling of nostalgia had been replaced with a solemn feeling of remembrance. Lancaster County is a unique community, the kind which seems rarely to exist in America anymore. Many of my friends come from families that have lived in this same area for over two hundred years, some even from the time before our country was formed—often we are still connected by friendships held long ago by our parents, our grandparents, or our great-grandparents. You will find roadside stands selling produce or baked goods, and it is not unusual for them to be left unattended, the prices listed on a bucket or a box where you can leave payment for the goods you take. The vast majority of the county is farmland, and in the summer, various shades of green spread out to the horizon. Beautiful forests line the hills and drift down to waving fields of corn and tobacco and hay. In the fall months many of the small towns sponsor fairs or festivals, some established for seventy-five years or more. They were originally conceived for local farmers to bring and sell their harvested goods, but, like much of the commerce in this area, they were also social events—an opportunity to catch up with friends you hadn’t seen in a while. I can imagine that back in the day they were joyous times, the crops having been brought in, the community coming together to prepare for a long winter. Nowadays we still go to the fair every year and sit on the same street corner with all of our friends, some of whom we haven’t seen all year but can count on seeing at the fair. The parade goes by, filled with local high school bands and hay wagons advertising local businesses. Our grandchildren vanish into the backstreets together, another generation of friendships created while riding the Ferris wheel or going through the haunted house. I like to think that in thirty years they will be sitting on that corner, with their children running off to ride the rides with my friends’ greatgrandchildren. The Amish people live easily among us: good neighbors, hard workers—a peaceful people. They attend the same fairs with their children. Their separateness goes only as far as their plain clothing, or their lack of modern conveniences such as telephones and electricity, or the fact that they have their own schools. I have many good friends who are Amish. While they choose to live their lives free of cell phones and computers, they still walk alongside us. They mourn with us when we lose loved ones, and we with them. We talk to them about world events. They volunteer for our local fire brigades and ambulance crews, and run businesses within our community. When the media converged on our community on that tragic October day, I guess I was an ideal person for the media to talk to: someone who grew up in the Amish community, now a family counselor familiar with the effects of grief and tragedy on people’s lives. So I served as a contact for the media, doing countless interviews and sitting on various panels, almost all of which discussed the Amish response of forgiveness. It immediately became the theme for the media and the millions of people who watched in their homes or listened in their cars—this unbelievable ability to forgive the murderer of innocent children. But tragedy can change a community, and I wondered how the acts of one man would change ours. Like many individuals, I had already experienced my share of personal turmoil over things I could not control. I knew that when these overwhelming experiences of hurt and loss occur, the very core of your being is altered. In fact, experiencing such tragedies in my life and being counseled through them led me to pursue becoming a counselor myself. Eventually I went back to school to do just that, and I studied quite a bit on my own as well. In May 1992, my wife and I opened the Family Information Center (later it became the Family Resource and Counseling Center), just up the road from Nickel Mines, a place where people from our community come to find healing from a variety of ailments, whether physical, emotional, or spiritual. As a trained counselor I spend a lot of time listening to people pour out the pain of their lives, and can see with my own eyes how it has affected them. Nearly every time I speak with a couple whose marriage has been torn, or visit with a family who has lost a child, I am reminded that there are some hurts in life that never completely disappear. But now, after the shooting, I understand even better how tragedies can affect individuals and communities. I think about people in places like Columbine, or the areas in the South affected by Hurricane Katrina, and I can relate to the trauma they faced and continue to live with. Our community felt shattered after the shootings in that small schoolhouse. Sometimes, as I drove those backcountry roads or stopped to talk to Amish men, I could hardly bear to think about the pain those girls’ parents felt, or the innocence that our community had lost. But tragedies can also bring communities closer together if forgiveness is allowed to take hold, and if any good can come out of our loss, it is this unique practice of forgiveness that characterizes the Amish response to evil and injustice. Word of the Amish community’s decision to forgive the shooter and his family spread around the world through the media in a matter of days (ironically, from a culture with little or no access to the media). This in itself seems like a miracle to me—if you or I wanted to market a product or a concept to the entire world, we could spend millions of dollars and take years and probably still not accomplish it. Yet the Amish, who do not own phones or computers, captured the world’s attention with a simple, seemingly preposterous act. While the public was fascinated with the Amish take on forgiveness, they didn’t quite know what to do with it. Some people refused to believe that anyone could offer genuine forgiveness to their children’s killer. They suspected the Amish were either lying or deluding themselves. Others believed the forgiveness was genuine but thought the stoic Amish must be robotic, lacking the normal emotions experienced by you and me, to offer up such a graceful sentiment. Neither is the case. Both misunderstandings find their origins in mainstream culture’s false perception of what forgiveness truly is, and the state of mind of someone offering such unusual forgiveness. The Amish are neither liars nor zombies. They are just like you and me, and offer a sincere forgiveness with no strings attached and no dependence on any reciprocal feelings or actions. But they also hurt as deeply as the rest of us over the loss of a child or a loved one. True forgiveness is never easy, and the Amish struggle with the same emotions of anger and retribution that we all do. But they choose to forgive in spite of those feelings. ABOUT A year after the shooting, I heard a story about one of the young girls who had been in the schoolhouse when the shooter entered. She was a survivor. She, along with her family and her community, had forgiven the man who killed those girls. But forgiveness does not mean that all the hurt or anger or feelings associated with the event vanish. Forgiveness, in the context of life’s major disappointments and hurts, never conforms to the old Sunday-school saying, “Forgive and forget.” In reality, it’s next to impossible to forget an event like the shooting at her schoolhouse. All around him the farmer’s market bustled with activity. The Amish were often the center of attention for first-time visitors to the market, so the Amish girl was somewhat used to being stared at, but something about this particular man made her want to hurry up and finish helping the customer she was with and then disappear into the back of the store. The difference between a curious stare and the way this stranger looked at her seemed obvious and stirred something inside her from the past. Meanwhile, other customers walked between the long rows of stands, eyeing the goods, making their cash purchases. The vendors took the money from each sale and crammed it into old-fashioned cash registers or old money boxes. The floor was bare cement smoothed by years of wandering customers. The exposed ceiling showed iron crossbeams, pipes, and electrical wires. The whole place smelled of produce, fried food, and old books. For many people outside Lancaster County, farmer’s markets are the only place they interact with the Amish and their conservative dress—the men wearing hats, mostly black clothing with single-colored shirts, and long beards; the women with their head coverings and long hair pulled into tight buns. Amish from Pennsylvania often travel to New York City, Philadelphia, or Baltimore to sell their wares: fresh fruits and vegetables, homemade pies and cookies, quilts and handmade furniture. For some of the Amish, that is their main interaction with people outside their community as well. The Amish are hardworking, provide quality products, are almost always outgoing in that environment, and give friendly customer service. But this particular girl, only months removed from the shooting that took place in the Nickel Mines school, got more and more nervous—she felt her breathing becoming shallow and faster, so much so that her chest rose and fell visibly. She looked around, but no one else seemed to notice the man or her reaction to his presence. Her gaze darted from here to there, first looking at him, wanting to keep an eye on him, then quickly looking away if he looked in her direction. She tried to help the customer in front of the counter, but concentrating was difficult. Then she saw him approach. He strode forward, fishing around for something in his bag, then stuck his hand down deep and drew an object out with one fast pull. The man pulled the object out of his bag and placed it on the counter. It was a Bible, a gift to the workers at the farmer’s market stand. He disappeared among the hundreds of browsing shoppers. The gentleman had no idea the scare he had just given the girl. No one outside the stand had noticed that something intense had happened. Everything continued on as normal—the shoppers wandered and the vendors shouted out their sales to the lingering crowds. Not too long before, her schoolhouse had been hemmed in by police cruisers and emergency vehicles while the sound of a handful of helicopters sliced through the sky, and the thunderous crack of rapid gunshots had echoed back at her from the rolling hills. DURING THOSE solemn winter months following the tragedy in our community, my wife, Anne, was running errands in the countryside close to the place where the shootings had taken place. That particular area of southern Lancaster County, about sixty miles east of Philadelphia, was an alternating blanket of farms and forest. The trees stood bare. The fields in November and December and January were rock hard and flat. Where spring and summer bring deep green, and autumn blazes with color, winter often feels quiet and stark. 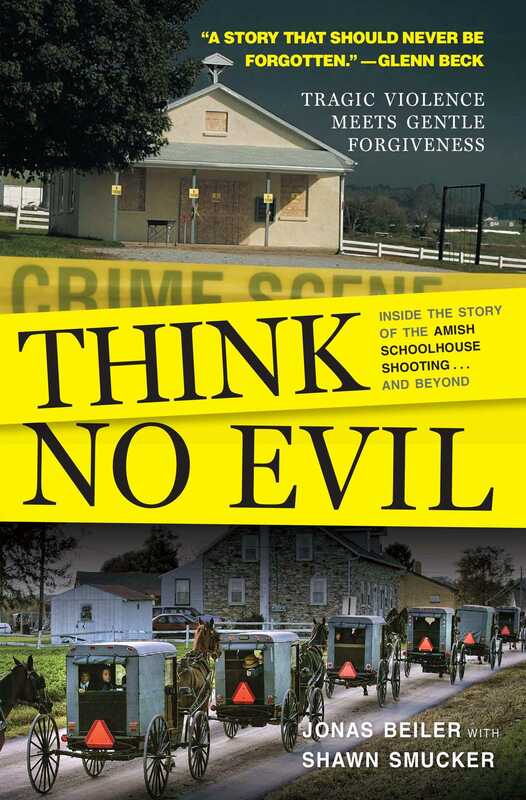 Anne also grew up Amish, and we both understood the questions rising within that community in the wake of the killings: Should their schools have more secure steel doors with dead bolts to keep intruders out? Should they install telephones in the one-room schoolhouses in case of emergency, a serious break from their traditional decision to shun most modern conveniences? Should the gates that guard the entrance to most of their schools’ stone driveways be kept closed and locked to prevent strangers from driving onto the premises? Anne came to a stop sign at a T in the road. She could only turn right or left. The roads rolled with the gently sloping landscape and curved along the small streams. A handful of scattered homes broke up the farmland that seemed to go on almost indefinitely. But as she paused at that intersection preparing to turn, she noticed something: directly in front of her was a one-room Amish schoolhouse, not the one where the shooting took place, but one of the many within a ten-mile radius. Most of those schools look the same: a narrow stone or dirt lane leading from the road up to a painted cement-block building with a shingled roof and a small, covered porch; a school bell perched on the roof’s peak; separate outhouses for the girls and the boys. In some of the schools’ large yards you can see the outline of a base path where the children play softball. Some even have a backstop. The school grounds often take up an acre or so of land in the middle of a farmer’s field, usually donated by one of the students’ parents, surrounded by a three- or four-rail horse fence. Yet there was something about this simple school that made my wife stop her car and park there for a minute. Part of it had to do with her thoughts of the children at the Nickel Mines school and all they had been through. She was also affected by visions of the parents who had lost children and their long road ahead, knowing as she does how heart wrenching it is to lose a child. But on that particular day, in the wake of all the questions brought up within the Amish community about how they would deal with this disaster, there was one thing that immediately stood out. We have all seen what happens in a community when people allow unforgiveness to rule their hearts. Lawsuits abound, separating the perpetrators and their families from those who were wronged, and in this separation the healing process is slowed dramatically. When forgiveness is withheld, walls are built within a community and division occurs, leading to isolation and further misunderstanding. Anger and bitterness take hold. The parents of those girls who were killed, along with their family members and neighbors, decided not to allow the shooting to separate them further from their neighbors. There were no lawsuits filed by the victims’ families against the shooter’s estate or the emergency services or the government, as is so often the case. They would not permit anger or fear to drive them into installing telephones or other modern conveniences that their way of life had survived so long without. They would trust God to protect them, leaving open the gates to their hearts and their communities, and move forward with forgiveness. Jonas Beiler grew up in a traditional Old-Order Amish family in the 1950s. He is the cofounder and chairman of The Angela Foundation. 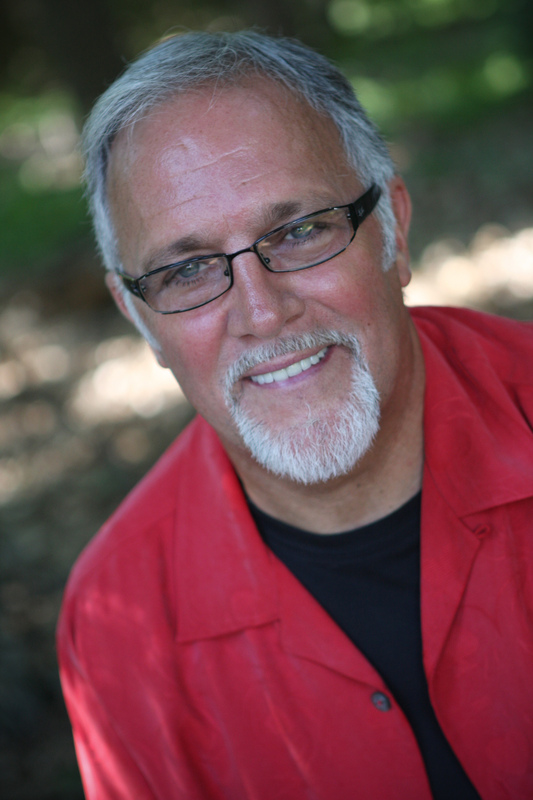 He is also a licensed family counselor and founder of Family Resource and Counseling Center and The Family Center of Gap, both located in Lancaster County, Pennsylvania. Jonas is married to Anne Beiler, founder and creator of Auntie Anne’s Soft Pretzels, an acclaimed international pretzel franchise.